The Unicorn, the Gorgon, and the Manticore (1956), a "madrigal fable" for chorus, ten dancers and nine instruments. American works for string quartet on historical instruments at the historic Ellison Center for the Arts in Duxbury. 19 October-24 November 2018 -- Speakeasy Stage Company presents Tony-award winning Broadway musical "Fun Home." 16 August to 19 September 2018 -- Lucerne Festival Orchestra Academy, Lucerne, Switzerland. 16-23 June 2018 -- Summer Institute for Contemporary Performance Practice (SICPP) at New England Conservatory. premieres by Noam Faingold (Piano Trio) and Catalan (Fractal Tracing) on Saturday June 23rd. Sunday 20 May 2018 -- Long & Away performs a program of English viola da gamba consorts by Gibbons, Byrd & Ferrabosco. "Experimental Music in the Great Engines Hall" at the Victorian-era Boston Metropolitan Waterworks Museum. Performed on viola da gamba with Eden MacAdam-Somer (violin) and Sarah Davachi (harmonium and electronics). world premieres of new works for string trio composed by undergraduate & graduate students. Monday 26 February 2018 -- Sound Energy premieres Tamar Diesendruck's "Cryptic Fragments" for string trio. 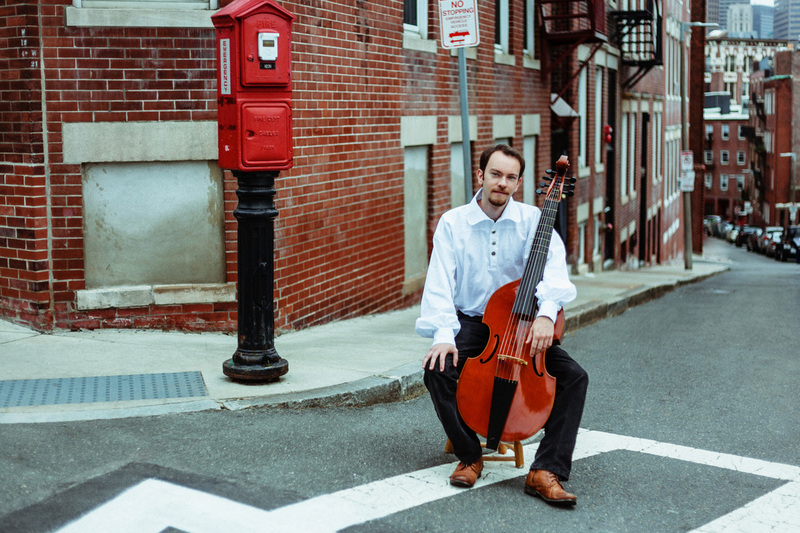 Sunday 28 January 2018 -- West Roxbury Baroque performs a second house concert on historical instruments in Boston. Monday 22 January 2018 -- Sound Energy performs Marti Epstein's "Hero and Leander" for string trio and puppet theater. Monday 23 October 2017 -- Sound Energy performs Vuk Kulenovic's String Quartet No. 9 with guest Janny Joo, violin. 12 August to 5 September 2017 -- Lucerne Festival Orchestra Academy, Lucerne, Switzerland. Sunday 20 August -- Debussy "Khamma," Koechlin "Les Bandar-Log," and Heinz Holliger "Violin Concerto." Pierre Boulez "Repons," with soloists from the International Contemporary Ensemble (ICE). Music in the Mountains Classical Concerts Series on Saturday evenings. Sunday 7 May 2017 -- Contemporary chamber music series at Harvard University, including Heinz Holliger's Eisblumen. Saturday 22 April 2017 -- Orchestra of Indian Hill season finale featuring works by Ginastera, Vivaldi, and Tchaikovsky. Series. Works by Kaija Saariaho, John Aylward, Clara Iannotta, and Tamar Diesendruck (world premiere). ("Appalachian Polaroids"), David Diamond ("String Quartet No. 3"), and Caroline Shaw ("Entr'acte"). Monday 23 January 2017 -- Sound Energy & friends present "liquid, fragile," showcasing the music of Marti Epstein. featuring French Baroque cantatas by Louis-Nicolas Clérambault and Élisabeth Jacquet de La Guerre. Jeffrey Mumford in collaboration with Castle of our Skins. Supported by a grant from New Music USA. Tuesday 13 September 2016 -- King's Chapel Solo Recital, "Cello Show Pieces: Works by Popper, Piatti, and Duport." Saturday 28 May 2016 -- Les Enfants d'Orpheé showcases French Baroque cantatas (performed on viola da gamba). Monday 9 May 2016 -- Ipswich High School faculty showcase concert (to benefit the Ipswich HS National Honor Society). Saturday 23 April 2016 -- Sound Energy and Warp Trio collaborative show. Trios by Anton Webern and Iannis Xenakis. Pippa Ovenden (recorders) and Dylan Sauerwald (harpsichord). Performed on Baroque cello and viola da gamba. Sunday 7 February 2016 -- Hub New Music masterclass of works by Northeastern University composition students. Friday 29 January 2016 -- Orchestral Tribute to David Bowie to benefit cancer research. Philip Glass symphonies 1 & 4. Thursday 21 January 2016 -- Boston Microtonal Society presents "Amber," a concert of microtonal music for strings & flute. Works by Ben Johnston, Julia Werntz, Bert van Herck, Jonathan Harvey, James Bergin, and Utar Artun. Sunday 13 December 2015 -- North Shore Chamber Music presents Brandenburg Concertos & holiday favorites. Friday 3 April 2015 -- Video Game Orchestra (VGO) String Quartet performance with special guest Yoko Shimomura. Friday 27 March 2015 -- Performance of composer Brian Friedland's "Household Items" collaborative multimedia project.